I'm going to be frank with you: I write about health and nutrition on a regular basis, but I have no idea what a calorie is. So I asked Samantha Rigoli, a registered dietician with Healthy to the Core in New York City, what the food stat everyone's so obsessed with actually means. The answer is confusing—but also kind of fascinating. As it turns out, calories aren't exclusive to the food world (!!! )—they're units of energy in chemistry and physics. But when we're talking about what you eat, we're actually talking about kilocalories (1 kilocalorie = 1,000 true ~science~ calories, but we just call kilocalories "calories" because it's easier). The number of kilocalories in any given food can be determined by placing that food in water and measuring the water temperature at the item's burning point. One kcal = the energy required to heat a kilogram of water by one degree Celsius. So if you were to actually do the math yourself (lol but y tho), you could figure out the amount of energy in that particular food. When did calories become a thing? Apparently the word "calorie" came from a French physicist who first used it in the 19th century. By the 1890s, a dude named Wilbur O. Atwater had started looking into the calorie content of different foods and researching how the cals you eat relate to how much you weigh. It didn't take too long for a weight-loss book to come out after that: In 1918, a woman named Lulu Hunt Peters published Diet and Health on calorie counting. You probably already know this, but Rigoli says that calorie counting is most useful for comparing the relative value of particular foods—a fast-food burger versus a fast-food salad, for example—and for giving you a rough idea of how much food you should eat on a daily basis. What you probably don't know: losing weight isn't always as simple as keeping tabs on your calorie intake. "If you are consuming more calories than you can burn, they get stored in your body and create weight gain," says Rigoli. "But if you are consuming just the right number or even a little less, you typically will lose weight." BUT. It doesn't work for everyone since the calories-in-calories-out approach to weight loss doesn't account for your specific resting metabolic rate (how much you burn when you're not doing a damn thing) and the number of calories your body uses to function. The recommended amount changes based on your gender, your age, and your activity level. Rigoli explains that these are still guesstimates since your target calorie count varies based on bone density, height, weight, resting metabolic rate, and other factors. Public Health England recently released new guidance on how many calories we should be aiming to eat at breakfast, lunch and dinner, and there are also calorie calculators that exist online. But the most accurate way to figure out your needs would be to consult a doctor. Where should you be getting most of your calories? There's not a hard-and-fast answer to this question, but Rigoli suggests a flexible 40-30-30 percent split between carbohydrates, proteins, and fats—with the caveat that these number can and should vary a bit, depending on the person and their lifestyle. An athlete might do best with 65 percent carbs, for example; another person might require something closer to 10 percent fat. If you're concerned about how to break down your caloric intake, consult a dietician. 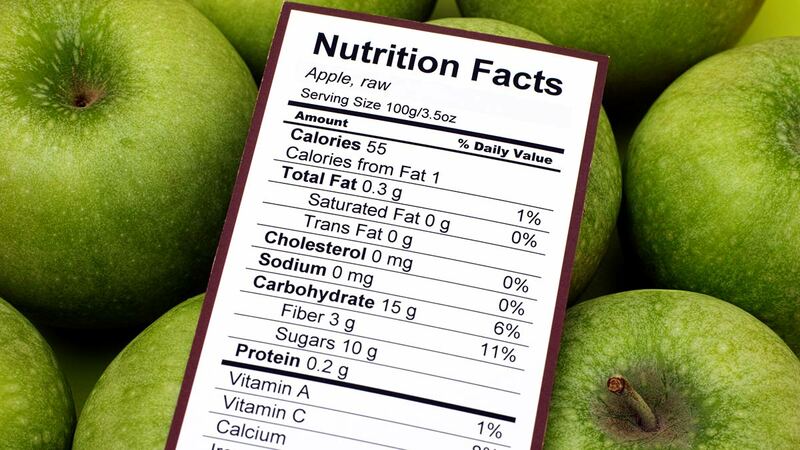 What do most people get wrong about calories? While the strategy is useful for some people, others are able to use mindful eating, exercise, and other tactics to drop pounds. A lot of people rely on that equation to track their weight loss, says Rigoli, but "it's not perfect science." "A calorie is a calorie." Many people will see 100 calories plastered across a serving-sized pack of Oreos or light yogurt and swap it for, say, 100 calories of broccoli or whole-milk yogurt. Don't! Diet foods are typically infused with chemicals and fillers, which means you're getting way less in terms of actual nutrition. "Your body knows what to do with 100 calories of broccoli or real yogurt," says Rigoli. It doesn't know what to do with the caloric equivalent of artificial sweeteners and dyes.